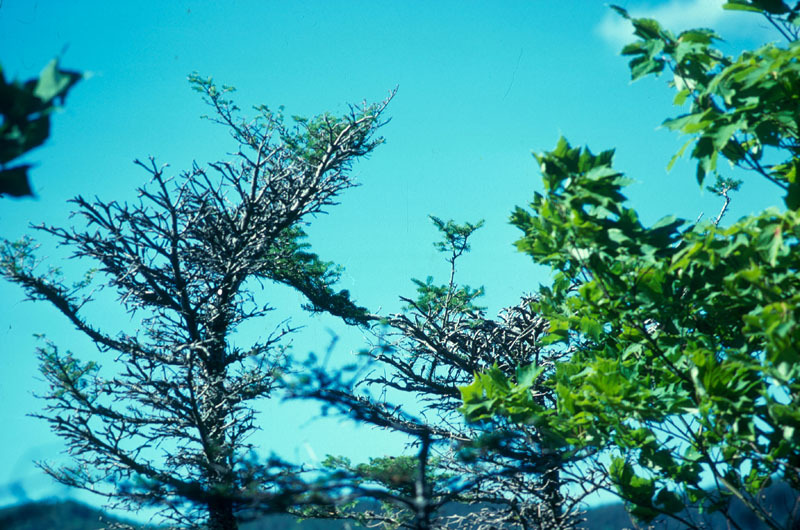 The balsam woolly adelgid causes two types of damage. 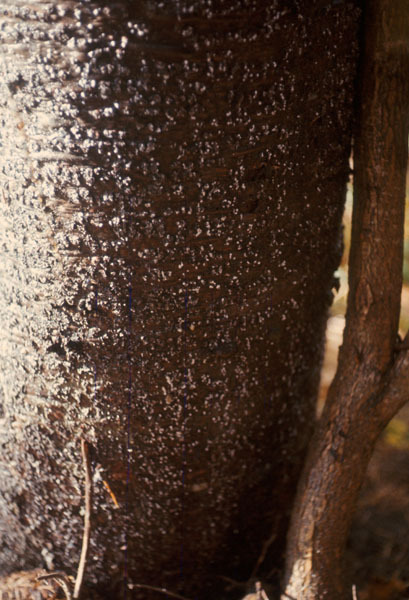 Affected trunks can be recognized by the presence of the insect covered in white woolly material in bark fissures, causing swelling of the affected areas and an increase in stem diameter. The needles soon start dropping, the crown turns a brick red colour and the insect's feeding activity results in the formation of dense compression wood, reducing the quality of the wood fibre which is used in pulp and paper manufacturing. The second type of damage results from the insects attacking the shoots. This causes swelling and distortion of the twigs, a syndrome commonly called "gout". Prolonged attack will hinder bud growth and height growth, and may ultimately lead to tree death, starting from the crown. 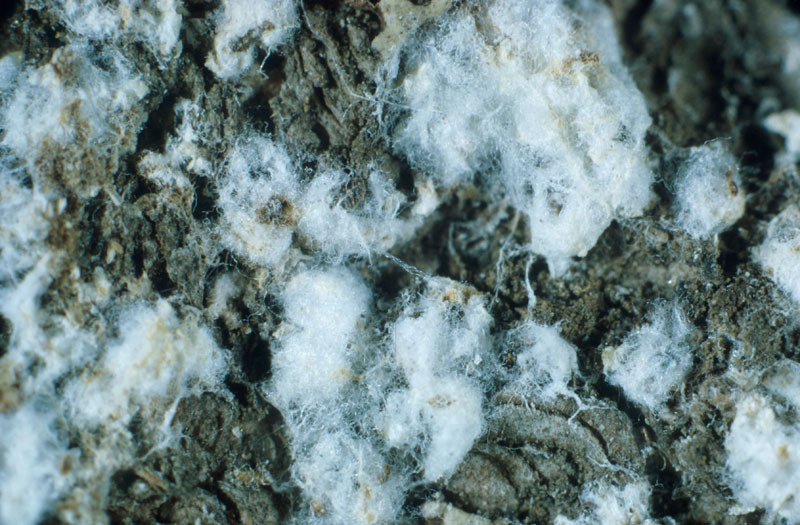 The earliest sign that can be used to identify the insect is the presence of white woolly masses on the lower bole, and possibly on large branches in the spring and summer. Crown gout is another sign of infestation, regardless of the time of year involved. 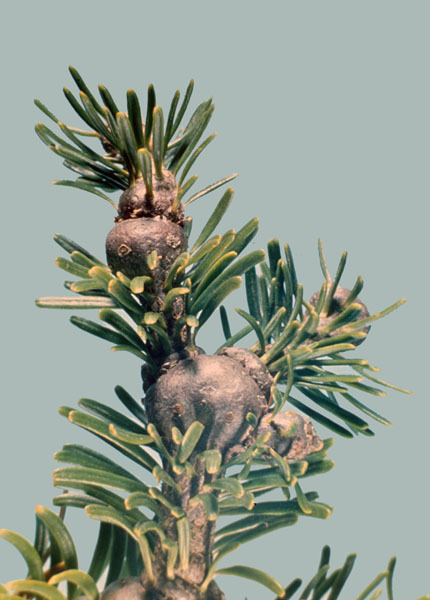 The balsam woolly adelgid, a species introduced from Europe, was first reported in Canada in 1910, in southern Nova Scotia. After this discovery, the species was found to be gradually dispersing to the other Atlantic provinces. 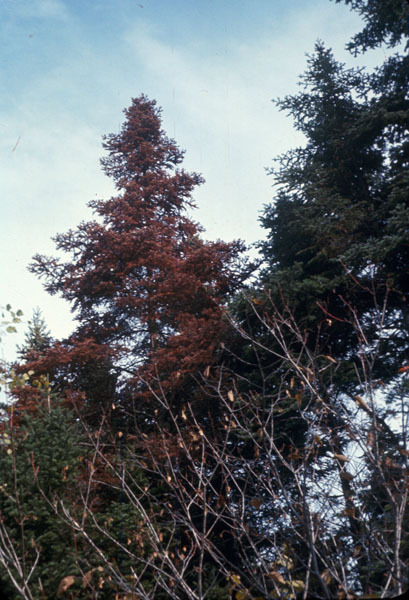 For the most part, the outbreaks observed during the 20th century were sufficiently intensive and persistent to lead to fir mortality in some areas. 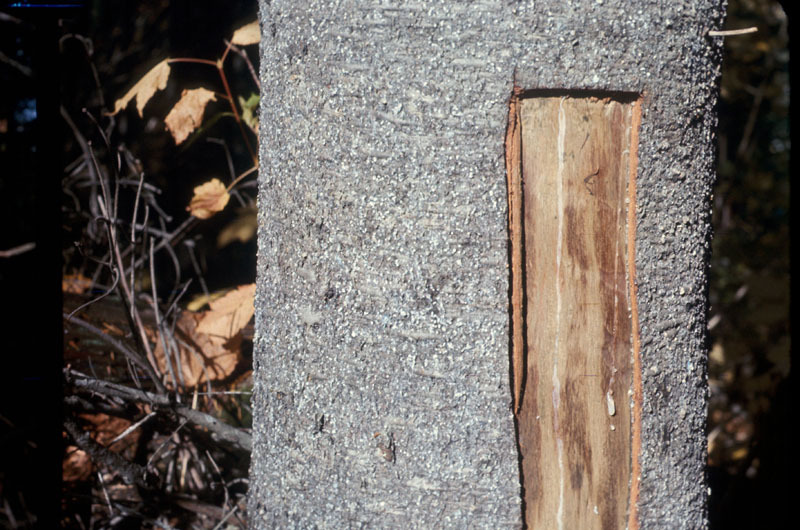 strip the bark off felled trees before transporting them to non-infested regions.